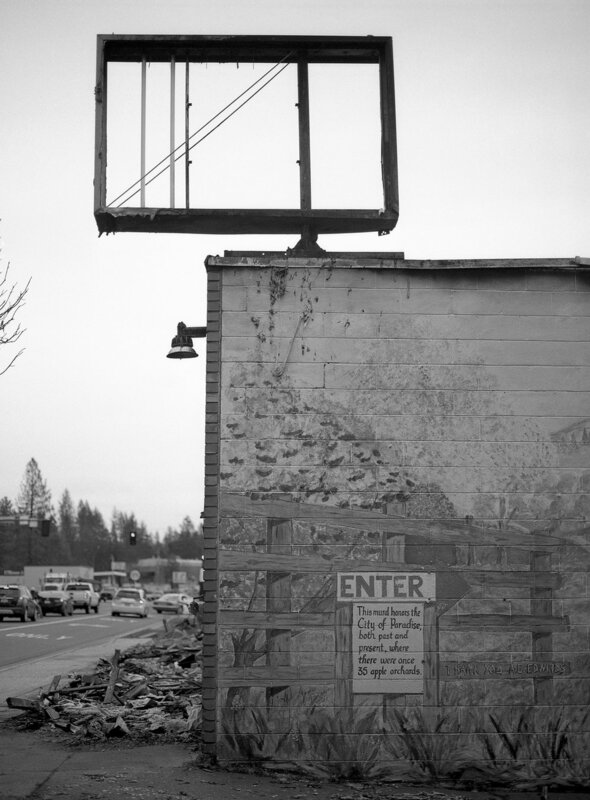 Once Paradise is a piece showing images from the town of Paradise before and after the deadliest wildfire in California. I’ve collected images from Google Street View the to show how lush and normal the town looked prior. 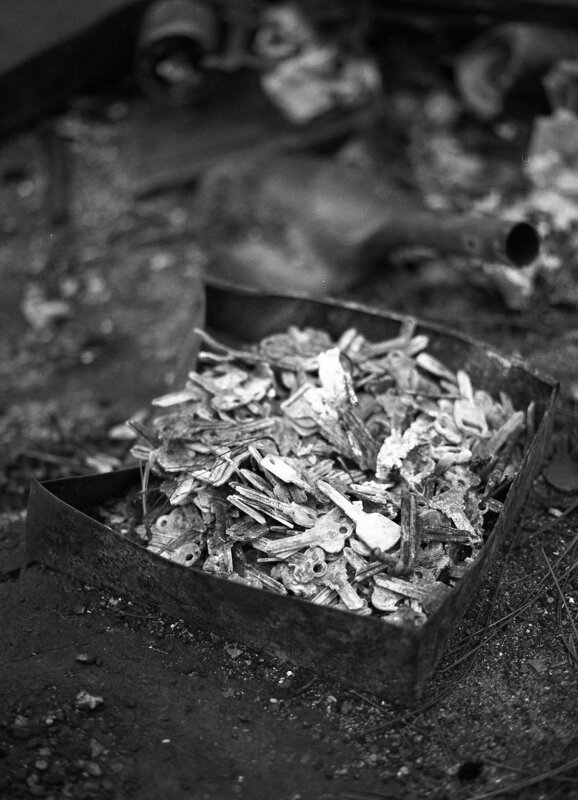 The after images focus on artifacts that either survived the fire, or were spared. Black and white images were photographed using medium format film, and have not been altered. Photographs were shot, hand-developed, and digitally scanned by me. What was once a lush green neighborhood, surrounded in old growth pines, is now leveled and unrecognizable. Walking through the streets was an eerily silent experience. Indistinguishable piles of metal and x-marked propane cans were scattered around each property. Below are a few artifacts that remain. The first image, a box a keys that haven’t been cut, the head of a shovel, and assorted doorknobs. Likely from the neighborhood hardware store. The next two, a partially melted waste bin and a closeup of the paint texture on a box van. What becomes a familiar sight. Burned out cars are everywhere, and they are the new normal for this town. The only remains are from the steel body and parts, and all glass is melted and scattered around the vehicle. “ENTER. This mural honors the City of Paradise, both past and present, where there were once 35 apple orchards. Thank you AG Edwards." At the end of the day, we spotted a group of deer roaming around one of properties. It was a sign of hope. Life is slowly returning to Paradise.